Stephen Chen aka Stephan Chen. IMDb, places them in two separate pages, but I suspect he is the same actor. For the period of the films and for having worked with Abel Ferrara. I will try to get a screenshot of China Girl, to compare it with that of Bad Lieutenant. The common name is clear, but the documentation would place order in our CLT. Update: After some investigations, we found that there are three aliases. How does Stephen S. Chen fit into this picture? Any Idea?? 'Guarding Tess' is Stephen S. Chen, indeed, but whether that's the same guy is anyone's guess. This is a frame that concerns it. In my database I have three of his films. That helps. 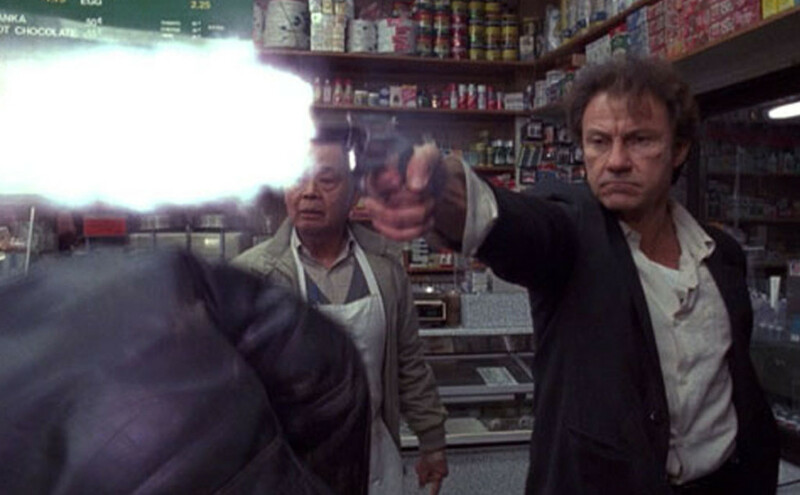 To me, the guy in the 'Guarding Tess' screenshot and the guy in the 'Bad Lieutenant' screenshot are the same. So I'll list the 'Guarding Tess' credit as "Stephen Chen [Stephen S. Chen]" from now on. The three aliases are certainly the same person. Does anyone have one of the titles left?